A Cardinal is arrested for treason against the state. 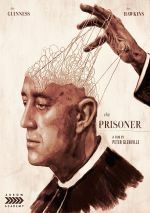 Whereas most of us associate The Prisoner with the classic 1960s TV series, a feature film staked a claim to the title more than a decade earlier. Add to that the fact 1955’s The Prisoner boasted the second of four movies to pair Alec Guinness and Jack Hawkins and I felt a desire to give the flick a look. Set in Communist Eastern Europe, a Cardinal (Guinness) finds himself locked up by state police due to alleged treason. Despite these grim circumstances, the Cardinal won’t admit to his supposed crime. In order to get the desired confession, the authorities bring in an interrogator (Hawkins) who used to work with the Cardinal as part of an anti-Nazi resistance group. This leads to a battle of wills as the interrogator attempts to mentally decimate his old partner. Based on that synopsis, it should come as no surprise that Prisoner adapts a play. 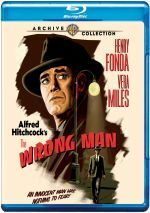 Not every film that revolves around essentially a two-character plot emanates from the stage, but this sure sounded like a tale suited for live productions. As transferred to the screen, Prisoner does open up in some ways – I think. An Internet search couldn’t find the full text of Bridget Boland’s original play, but I found enough to reveal that it took place entirely within two sets: a prison cell and the interrogation room. Though the film doesn’t often expand beyond those realms, it does find other locations, and it apparently contributes characters and situations absent in the play. We get a subplot related to the local resistance movement, one that also features a romance between a prison guard (Ronald Lewis) and a young woman (Jeanette Sterke). Normally I would appreciate the movie’s efforts to expand the play’s limited scope and locations, but in this case, the additions don’t work. We see far too little of these extended circumstances for them to become anything more than distracting windowdressing. As such, I’d prefer a Prisoner that totally focused on the play’s minimal domains and barely touched on anyone other than the Cardinal and the Interrogator. A film with that kind of tight orientation could turn into a fascinating “cat and mouse” exploration. “Could” seems like the important term here, as the end result puts into doubt how well director Peter Glenville could execute that sort of story. Glenville came from the stage and Prisoner represented his first film production. Perhaps eager to show his cinematic bona fides, Glenville overdoes the shift to the screen. Prisoner abounds with visual methods meant to add zest, but instead, these feel self-conscious and showy in a way that distracts from the story and characters. Again, I don’t frown on adapted plays that open up for the movie screen, but these changes need to make sense, and the alterations of Prisoner feel gratuitous. I get the impression that the various techniques came into use more out of a sense of necessity than an organic purpose, and they don’t work. At times, the Guinness/Hawkins pairing allows the movie to blossom, but the lack of coherent narrative emphasis becomes a consistent concern. We flit about to various locations and topics too often for the tension to build in a concrete manner, so the natural drama between the leads diminishes. Prisoner seems like a film that should crackle with confrontational energy. Instead, it tends to lumber and it plods along toward a less than exciting conclusion. Trivia note: Denis O’Dell served as assistant director here. He’d later become better known due to his work with the Beatles, eventually to be immortalized on the band’s novelty track “You Know My Name (Look Up the Number)” as “Denis O’Bell”. The Prisoner appears in an aspect ratio of approximately 1.85:1 on this Blu-ray Disc. This became a problematic presentation. Print flaws caused the majority of the issues, as they pervaded the image. From start to finish, the movie suffered from lots of specks, nicks, lines, blotches and marks. Virtually no segment of the film escaped unscathed, so this was an awfully messy transfer. Sharpness varied but usually seemed adequate to good. Though occasional bouts of mild softness emerged, the majority of the film exhibited fairly appealing delineation. Blacks looked a little too dark, and shadows could seem somewhat murky. Given modern standards, this turned into a disappointing image that desperately needed clean-up work. I found the monaural soundtrack of The Prisoner to feel fine for its era. It didn’t exceed expectations for a mix of its age, but the audio was more than acceptable. Speech lacked edginess. The lines weren’t exactly natural, as they could seem a bit dull, but they seemed distinctive and without problems. Effects were a little flat, but they showed no distortion and displayed acceptable definition. Music also lacked much range and could seem slightly shrill. All together, this wound up as an acceptable mix for something from 1955. We get a few extras, and we find a scene-select commentary from author/critic Philip Kemp. This covers four sequences and fills a total of 15 minutes, two seconds. Across these segments, Kemp discusses cast/crew as well as the source, story/characters and interpretation. Despite the brevity of the commentary, Kemp offers some useful information. Called Interrogating Guinness, a video essay runs 23 minutes, 49 seconds and features author/academic Neil Sinyard. He tells us about the source and its adaptation, cast and performances, historical connections, and related domains. Overall, Sinyard provides a pretty good chat. He brings us a solid overview of the project and its facets, so this winds up as an engaging program. With two powerhouse actors at its core, The Prisoner seems ripe to explode into a strong drama. Unfortunately, the end result feels scattered and unfocused, factors that make it a flawed effort. The Blu-ray comes with adequate audio and supplements but picture quality stinks. Both this disc and the movie disappointment.